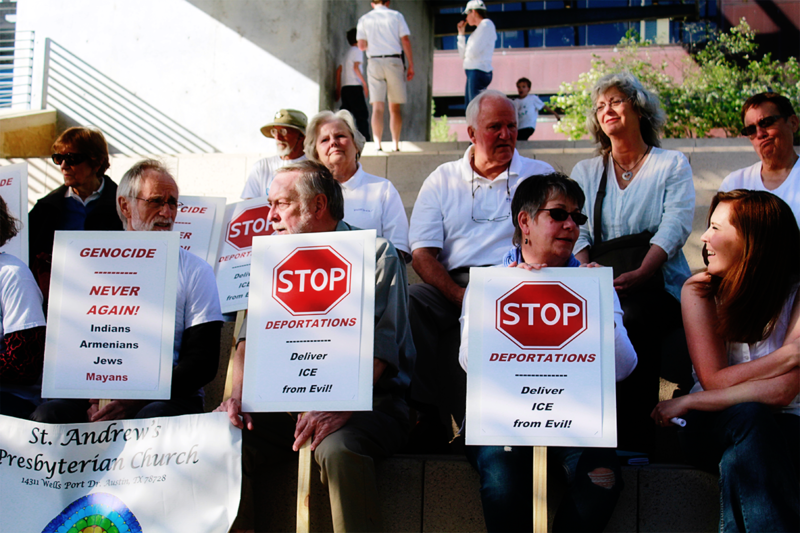 A crowd of around 60 people gathered at Austin City Hall on Thursday, purchase March 24, to show support for Guatemalan immigrant, Hilda Ramirez, and her young son, Ivan. As was recently reported by NPR, Hilda and her son are Guatemalan immigrants who fall under the purview of the recent deportation raids undertaken by the Obama administration. Out of fear that ICE would soon show up at their door, Hilda and Ivan decided earlier this year to search for a church that would provide them sanctuary. In February, St. Andrew’s Presbyterian Church in North Austin answered the call. Temporarily safe from immigration raids, Hilda, who is a 28-year old Mam woman, is still living a life of uncertainty. She is isolated in the Church and cannot leave it. She could not, for example, attend Thursday’s event. 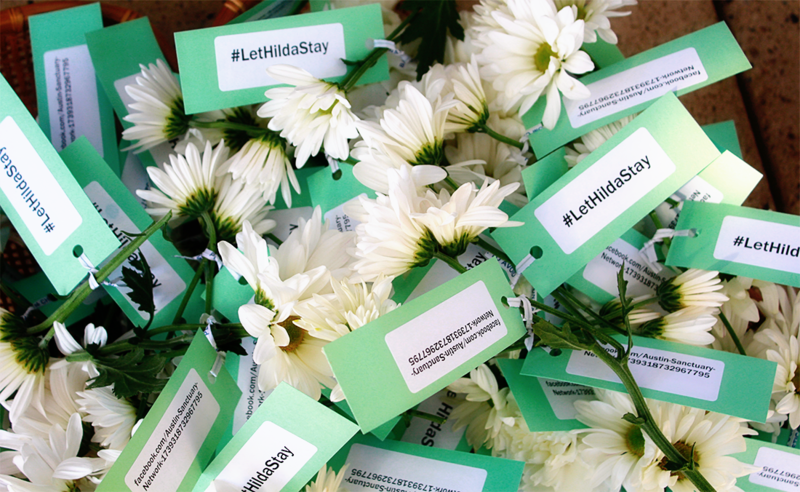 Additionally, Hilda is still burdened with a large ankle monitor, a condition of her release from detention. This form of monitoring, a supposed alternative to detention, has been criticized by advocates. THANK YOU SO MUCH FOR HELPING PEOPLE IN NEED!! I AM SURE YOU HAVE A VERY GOOD KARMA. GOD BLESS YOU.